This week, Britain’s Food Standards Agency (FSA) launched a public health campaign warning people about the potential risks of eating burnt toast, overly crisped potatoes and other starchy foods cooked at high temperatures. The agency is urging people to reduce their intake of these foods and only eat them lightly browned, not burned to a crisp. 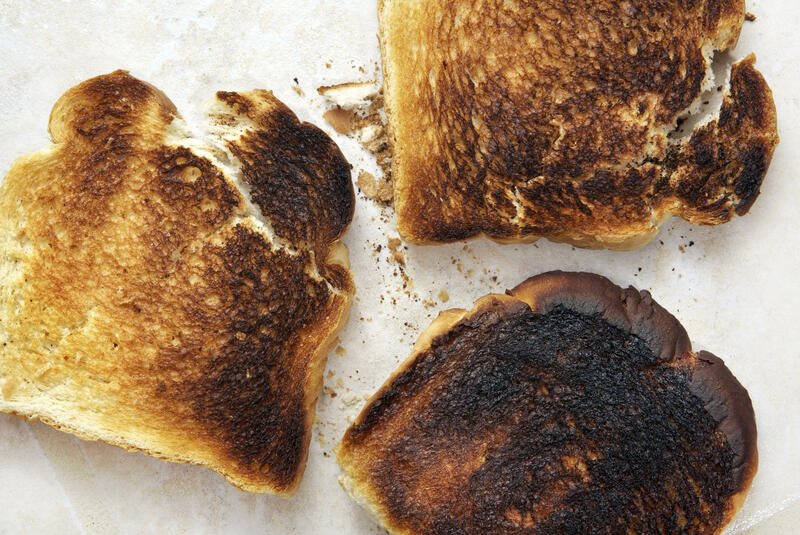 The advice stems from animal studies that show the chemical acrylamide – a naturally-occurring compound which is responsible for the brown or black color when starchy foods are toasted, fried, baked, or roasted – is linked to cancer in mice. But the link has not been proven in humans and experts say there’s scant evidence of any actual risk for people eating normal quantities of toasty food. “Looking at different studies in people, there isn’t a clear and consistent link between acrylamide and increased risk of cancer,” reads a statement from Cancer Research UK, following the release of the FSA’s dietary guidelines. Acrylamide forms when sugars, water and amino acids are heated together at high temperatures. The higher the temperature and the longer the heating time, the higher the levels of acrylamide. However, some experts say the advice may unnecessarily cause alarm and detract from focusing on much bigger cancer risk factors like smoking and obesity. “The most important thing to say following today’s news is not to panic if you had burnt toast this morning or crispy potatoes with your Sunday roast,” Cancer Research UK says on its website. Bontempo said she would encourage people to consume less of foods that are high in acrylamide such as chips, fries, cakes and other baked goods – but not because they contain the compound.